Every washroom needs a functional paper hand towel dispenser. Easy to use and low maintenance, these dispensers should fit in nicely with any design of washroom. You can even top these dispensers up while they are in use, so there is no disruption from the quietest to busiest washrooms. 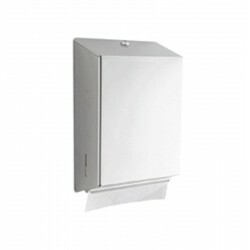 Paper hand towels are hygienic and efficient, shop yours today.